2. Issuing of registration Forms from 5th Feb – 8th Feb 2019 . Registration forms either to be downloaded from the link Home->Students->Admissions->Registration Form or it can be collected from school reception between 10:00am to 12:00 pm . 3. 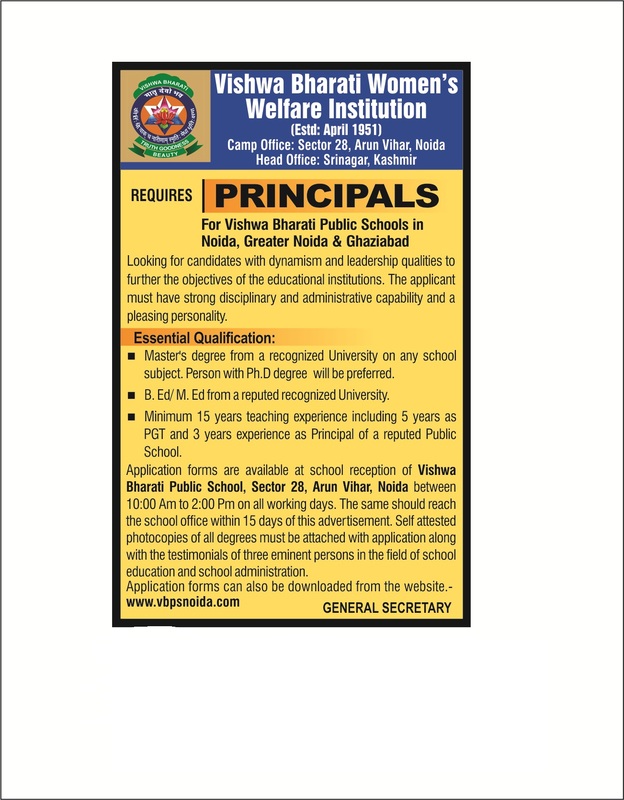 Registration Fee of Rs 500/- to be paid by Demand Draft in favour of Vishwa Bharati Public School, Noida. 4. Submission of Registration Form on 11th Feb and 12th Feb 2019 at school reception BETWEEN 10:00am to 1:00pm only.